The Alameda Education Foundation (AEF) is pleased to sponsor the Edison After-School Enrichment Program. With the cooperation of the Edison PTA, the Edison parents, and staff, the Alameda Education Foundation looks forward to extending the school day with the same commitment to excellence in education which has always marked the Edison School Program. 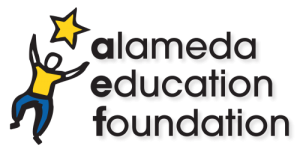 AEF is a non-profit foundation whose mission is to help students meet and exceed the Alameda Unified School District Graduate Profile. 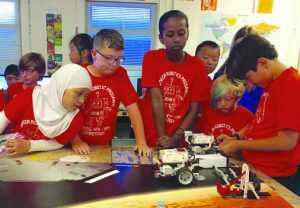 To that end, AEF seeks endowments for the District, sponsors enrichment programs, and enlists community volunteers to promote quality education. Classes change several times each year, so visit the AEF After-School Enrichment site for the latest class offerings. 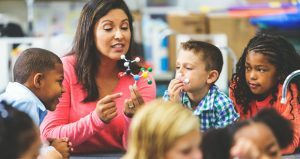 Typical classes include: art, science, engineering, music, sports and dance. The Enrichment Committee is always looking for interested parents to join our committee and help make enrichment possible at Edison. If you are looking for an opportunity to get more involved, please contact the Committee directly at enrichment@edisonpta.org or sign up on Konstella.